At Hillside Honda’s Service Department, we make sure your vehicle gets the attention it needs. Whether it may require routine maintenance, new tires, or more in-depth diagnostics, you can trust our experienced and certified Honda technicians with your vehicle repairs! Using state-of-the-art tools and technology, our team can perform any service that may be needed using OEM parts and repaired to manufacturers specifications. We strive to get the service performed in a timely manner to get you back on the road as soon as possible. If you have any questions or would like to schedule a service appointment please, contact us at (888) 258-4333. Synthetic-blend oil used.Coupon not valid with any other offer. Must present coupon at time of purchase. Limit one coupon per person. Plus taxes and fees where applicable. Coupon does not apply to prior purchases. Other Restrictions may apply. Void where prohibited. Service Only. Coupon not valid with any other offer. Must present coupon at time of purchase. Limit one coupon per person. Plus taxes and fees where applicable. Coupon does not apply to prior purchases. Other Restrictions may apply. Void where prohibited. Summer is around the corner and at Hillside Honda, we know how your A/C works and the best way to get it up and running! Your air conditioning could need a number of maintenance fixes so be sure to contact us today to schedule your Honda A/C Repairs! Coolant is the most vital part of your car’s cooling system. The antifreeze coolant, is the liquid mixture of antifreeze and water that runs throughout your car’s cooling system and helps keep your engine cool while running. It will also keep the engine block from overheating in extreme hot conditions. 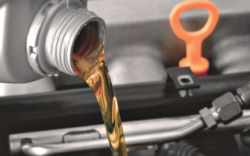 Stop by Hillside Honda to take advantage of our Spring Coolant Service Special! 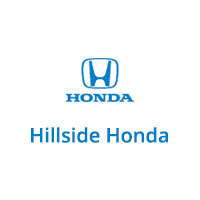 At Hillside Honda, we believe that maintaining your Honda should be affordable. That’s why we regularly offer Honda service coupons at our Honda dealership located in Queens, New York. You can download our Honda service coupons to your Apple Wallet and show your advisor upon checkout. Here are our current Honda service specials, oil change coupon, and parts specials that we provide at our Honda dealership in Queens, NY. Visit Hillside Honda if your Honda Accord, Civic, HR-V, CR-V, Odyssey or Pilot is due for an oil change, brake inspection, battery test, new wiper blades or tire service. Our oil change coupon comes with a Free multi-point inspection. You can schedule your service online at anytime through our website. Did you know that following Honda’s maintenance schedule is essential to preserving the enjoyment and reliability you depend on from your Honda every day?!? The next time your Honda needs routine maintenance or a larger repair, visit us here at Hillside Honda in Queens, NY. Remember to bring in your oil change coupon for an affordable price on your Honda’s next oil change. Also, we visit our Express Honda Service Center located at 140-24 Queens Blvd, Jamaica, NY 11435 for all of your express Honda service maintenance needs.